Lama at his residence in Jive-tsal Choglamsar. The Governor was accompanied by his Advisors, Chief Secretary and Principal Secretary Planning. 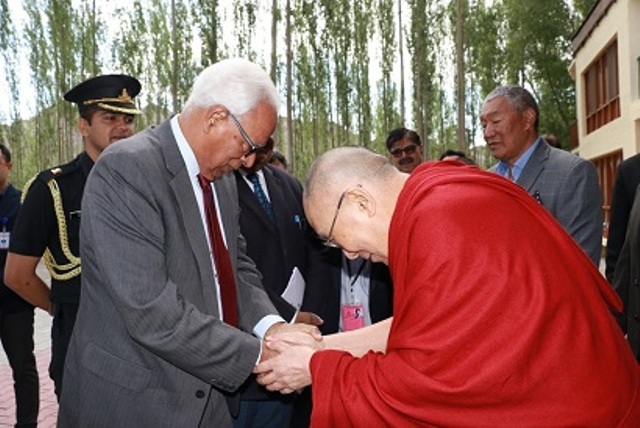 During his interactions with the Governor, and speaking about the growing tensions across the world, the Dalai Lama, stressed the importance of debate and discussion to reconcile opposing viewpoints and study of philosophical texts to cultivate an atmosphere of tolerance and respect for all religions. He prayed for peace and prosperity in the world.